Our primary focus is on cultural traditions, including hula kahiko (ancient dance), hula `auana (modern dance), oli (chant), mele (traditional songs), himeni (modern songs), nā mea hula (arts, crafts, implements), lole hula (hula attire), 'ōlelo (language), and mo'olelo (stories). The hālau has staged various hula productions that are both entertaining and educational. 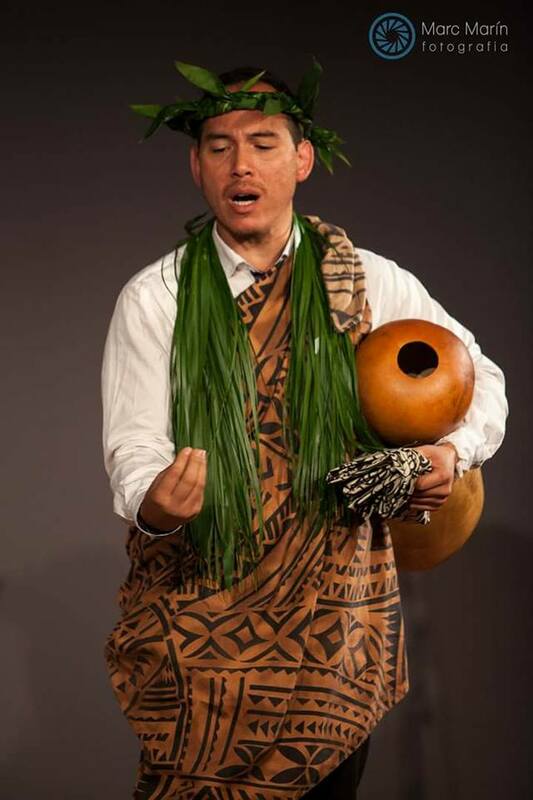 Kumu Kawika, along with the hālau, have opened and performed alongside well known entertainers of Hawai`i such as: The Cazimero Brothers, Cyril Pahinui, Makaha Sons, Hapa, Nathan Aweau, Herb Ohta Jr. Amy Hānaiali`i, Melveen Leed, Kainani Kahaunaele, Mailani Makainai and more. The hālau is comprised of both men and women, young and old, ranging from 5 to 85 years of age and presents theatre productions highlighting hula in its many aspects. Following tradition, we share what we learn with different communities so that others too can benefit from a better understanding and appreciation of Hawaiian culture. It is within the stories told in the mele, and its morals and values, that people can truly be enriched in their personal lives. We hope to reach people far and wide, touching everyone who may or may not be exposed to the Hawaiian culture and share with them in this spirit. Kawika is the Kumu Hula (Master teacher) for Hālau o Keikiali'i, and is the Director for the Kaululehua Hawaiian Cultural Center in South San Francisco and has been teaching hula and Hawaiian cultural arts for over 25 years. With a mission to preserve and perpetuate all things Hawaiian, Kawika spends his life learning, teaching, and sharing his culture through the hula and cultural arts and continues to teach throughout the globe. Kawika has had impeccable training from his Kumu. His first Kumu Hula was Tiare Maka-Olanolan Clifford of Hanalei, Kaua`i. After her passing in 1992, Kumu Kawika became haumana of Kumu Hula Harriet Kahalepoli Keahilihau-Spalding of Keaukaha, Hawai`i who had Kawika open Hālau in 1994. Aunty Harriet’s kumu was her grandmother, Mary Ahi`eha Kekuewa, who was affectionately known as Mama Fuji’i. In 1996, Aunty Harriet had Kawika learn and fall under Kumu Hula Rae Kahikilaulani Fonseca of Hilo, Hawai`i – an `uniki (formal graduate) of Uncle George Lanakilakekiahiali`i Na`ope, a hula master and treasure of Hawai’i. In March 2007, Kumu Kāwika was one of six to be a part of Kumu Rae’s first and only `uniki. Kumu Kawika is also a composer and recording artist with 4 CDs; Nālei (2005), Kale`a (2011), Nā Mele Kahiko (2013), White Ships (2015) and 3 DVDs; Nānā I Ke Kumu (2010), Hula Pahu (2012) and Ho`okupu (2014). His music can be found on iTunes.